Researchers from Binghamton University looked into the driving force behind college students’ behaviors, particularly what causes some people to get trapped in patterns of bad behavior. According to the study, one negative choice could be the driving force that sets subsequent bad choices in motion. To see what spurred college students’ behavior -- either positive or negative -- the researchers had over 550 college students from around the country participate in an anonymous survey. Participants answered questions on their sleeping habits, how tired they felt during the day, substance abuse, mental distress, and their performance in school. The researchers discovered two cyclical patterns: excessive drinking or substance abuse was linked with lower GPAs, less sleep, and less motivation to do well in school, whereas sleeping, eating, and exercising regularly were linked with better academic performances and better overall attitudes. The study also revealed that mental distress played a large role in whether college students engaged in risky behaviors. For instance, severe mental distress correlated with students who didn’t care much about their grades, had low GPAs, drank alcohol in excess, and were often extremely tired during the day. Low mental distress was the complete opposite, as these students had high GPAs and no substance abuse, while mild mental distress fell somewhere in the middle. 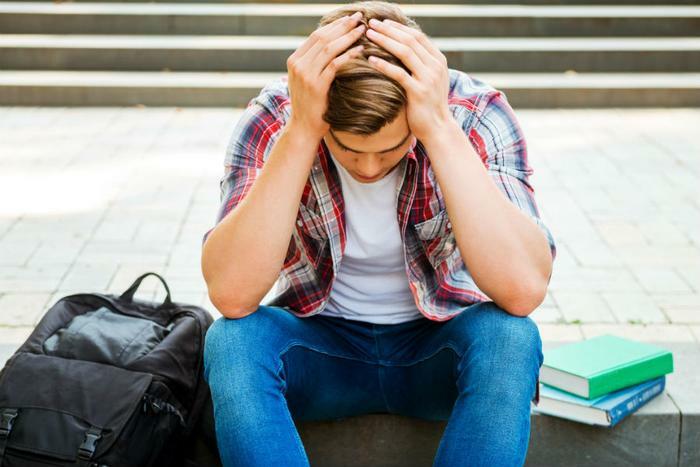 “These factors that are associated with mental distress in college students are controllable factors, meaning that proper education of students may reduce risk of mental distress on college campuses, which is on the rise,” said Bagdache. Brain maturity also played a role in this study, as the researchers explained that brains that are still maturing are more vulnerable to impulsivity and emotional control. While one recent study found that binge drinking is decreasing among college students, many researchers have explored how mental health is affecting the demographic. According to a study conducted by researchers from Columbia University, over one-third of college students show symptoms of a mental health disorder. Another study found that though college students are receiving more care for mental health disorders, the stigma surrounding mental health is on the decline.